The DIRIS Digiware Udc modules measure the DC voltage and send the voltage sampling to all DIRIS Digiware Idc modules via the RJ45 bus. For multi-point metering applications, this reduces the number of voltage connections to only one central point. 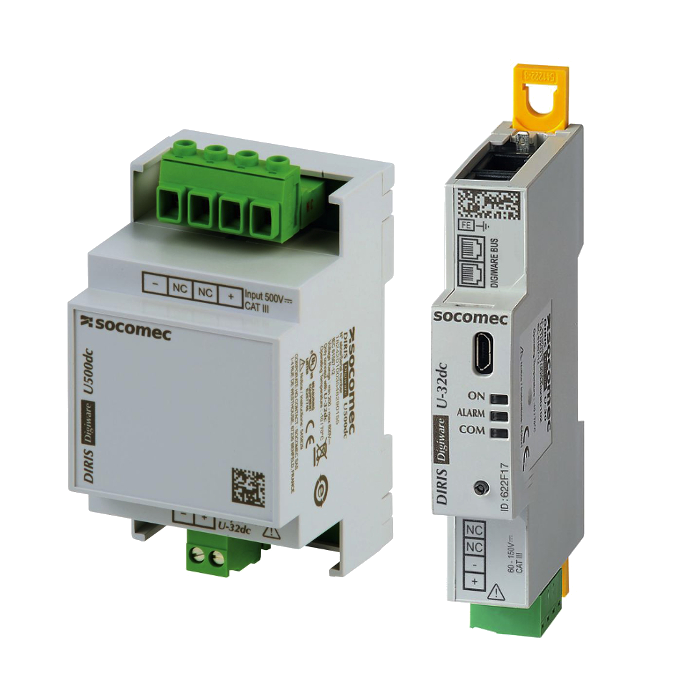 Measuring up to 180 VDC with a direct connection, they are compatible with typical nominal voltages (24 VDC, 48 VDC etc.). Voltage adaptors can be added to the DIRIS Digiware U-32dc module, making it compatible with all voltage levels up to 1650 VDC.